As soon as spring starts (and for some people, well before March 20 even gets here) allergy season is upon us, resulting in eye-related issues for a percentage of the population. The symptoms may vary from one person to the next, but typically, they include a variation of dry eyes, watery eyes, itchiness, and an overall uncomfortable feeling around the eyes, including the sinuses. There are treatments and remedies that can help you, and your eye doctor can assist with determining the right course of action for reducing the severity of symptoms and finding relief. Read on to learn five important facts about allergies and dry eyes. Despite our occasional snow blizzards and our welcome spring rains, the climate here in Colorado is dry. A combination of factors creates this somewhat arid effect, including our high elevations and our continental interior geography. While we’re not typically hot and dry like desert locations, our low humidity can create conditions for allergic conjunctivitis to develop in some individuals. If you wear contact lenses, you may feel symptoms of eye allergies and dry eye more acutely. Under normal conditions, most people who wear contact lenses don’t even notice they’re there. However, when your eyes become overly dry, your contact lenses can all of a sudden become uncomfortable. Some individuals find that they need to wear glasses instead of contacts until the symptoms are treated and are resolved. In addition to these common symptoms, you may also notice that your vision becomes impaired, especially when it’s dark outside. This can impact nighttime driving in particular. Regardless of the time of day, if your allergy or dry eye symptoms are creating excessive watering of the eyes, or if there’s not enough moisture to lubricate your eyes, your vision can become impaired during these times. What’s more, eye fatigue that results from battling these symptoms can lead to a temporary decline in your visual sharpness. This can lead to difficulties when reading up close or far away. You may find it a challenge to read signs when you’re driving, for example. Have you heard of computer vision syndrome? This refers to the strain your eyes endure when you work at a computer screen. Since many of us have jobs that involve considerable use of computers, this syndrome is fairly common in this day and age. Even if you don’t work with computers, you likely have one at home and spend a certain length of time on it. The more you stare at computer screens, or even your television screen, the more likely that you’ll develop at least some symptoms of computer vision syndrome, which include blurred vision, dry eyes, headaches, and some type and degree of eye irritation. If you experience computer vision syndrome, it can exacerbate your symptoms of eye allergies. Remedies Exist To Alleviate Symptoms So You Don’t Have To Suffer! If you’re tired of dealing with the annoying, uncomfortable symptoms that come from eye allergies and dry eye, you’ll be happy to know that relief is available! Dry eye treatment may involve a number of approaches, depending on the severity of symptoms. 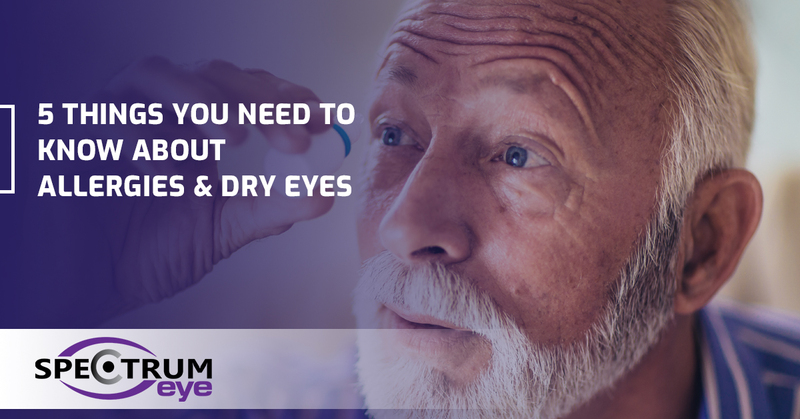 Your eye doctor will give you instructions for dry eye care, which may involve a combination of using over-the-counter or prescription eye drops and applying warm compresses for relief. Other allergy eye care and dry eye treatment approaches may involve anti-inflammatory medications, prescription drops to control inflammation of the eye surface, tiny lubricating eye inserts, tear duct plugs, or additional options. If you’re experiencing eye allergy or dry eye symptoms, whether it’s spring or any time of year, the best thing to do is make an appointment with your eye doctor for an evaluation and to start treatment that will bring you the relief you need. At Spectrum Eye in Colorado Springs, we regularly treat patients who come in complaining about allergy-related symptoms. Whether they have dry eyes, watery eyes, itchy eyes, or any other associated symptoms, we can help. If you’re looking for relief from irritated, sore eyes, give us a call! 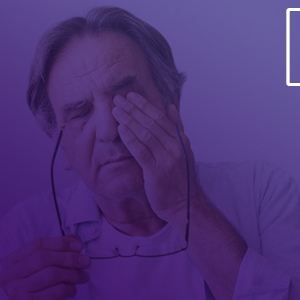 We’ll take a look at what’s going on with your eyes and start you on allergy and dry eye care that will help you see better and help you to feel better. Get in touch with Spectrum Eye today!